If you're used to a PC using a Windows operating system and considering making the switch from a PC to a Mac, Apple's operating system can seem intimidating at first. But truth be told, Macs are anything but scary. Instead of a Windows Start menu, Apple gives you a Finder. Finder is where you find all of your apps, documents, photos and other files. It's very easy to navigate either of these systems. There are several different PC manufacturers like HP, Dell, Acer, Lenovo and others, which gives consumers a lot of different options and brands to choose from. Microsoft makes the software for PC. Apple makes only their own hardware and software, so you’re given just a handful of options if you want to buy a Mac. If you want to get technical, it’s possible to build your own "Hackintosh," or a traditional PC that runs using Apple's operating system. With the increased popularity of Mac computers, hackers have begun targeting the system. Recently, there was a security threat to Mac in the form of a trojan called the “LuckyCat”. This Trojan took advantage of an exploit in Microsoft Word documents. It gave a remote attacker the ability to plunder infected systems and steal data by hand. Apple addressed the issue with a series of software updates designed to remove the trojan from affected machines. Even in light of the above, however, Macs make up a relatively small percentage of computers out there, so most hackers don't waste their time with it. On the other hand, Windows PCs are notoriously known viruses and hacks. It is a requirement on any PC to have anti-virus software installed. Because PC’s are highly customizable, gamers tend to prefer them. You can significantly boost your computer's performance by adding a better graphics card and more memory to handle power-hungry games. Macs typically can't compete when it comes to gaming unless you're willing to spend an enormous amount of money. On average, Macs tend to be significantly more expensive than their PC counterparts. Even in the super popular Ultrabook category, you can get a comparable PC for hundreds less than the MacBook Air. If you’re really looking to splurge, there are the super-expensive MacBooks like the new MacBook Pro with Retina display. That thing starts at $2,200. 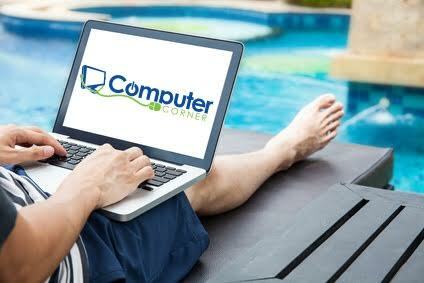 For help on finding the perfect computer for you contact the experts at Computer Corner.